Have you ever wished for something that would help you cook delicious food within the budget and also take care of your diet plan while you are sweating it out to lose those love handles? That may sound too good to be true. But Rich Thomas LLC, a US- based company that offers tools and solutions for healthy, customized meals has come up with eGrocer, an app that gives you recommended recipes and also lets you create custom meal plans based on your personal preferences, fitness, nutrition, budget & pantry. Launched on Android and iOS platforms on April 14th and April 24th respectively, eGrocer covers all the features that a normal food app does and in addition to that, it provides ideas that would suit your lifestyle. 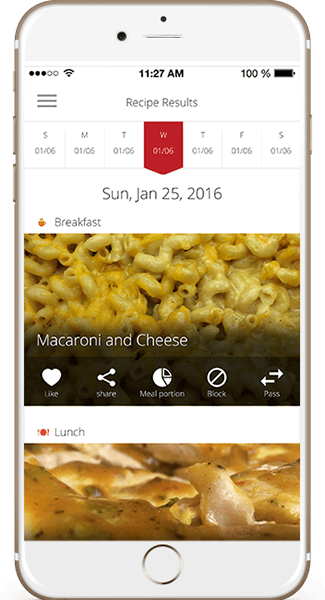 With people being short on time due to hectic work schedule, the app does the job of giving people the ability to create and implement a meal plan quickly and within their budget. This will eventually help everyone save money at the grocery and send less food to landfills. Further up, they plan on including an integrated food ordering system that would link local producers with consumers, resulting in the further trimming of food waste. App users would enjoy all the advantages of farm-fresh foods, while also benefiting from convenient ordering and delivery. The app is looking at people who would want to learn healthy and simple recipes, maintain a proper dietary schedule to keep fit, and the millennial mothers.